Ac Milan’s path to Scudetto face another hurdles after they failed to take their home court advantage and only came out win one point against one of the current title contender, Lazio at San Siro. The Rossoneri’s dominant were cancel out by a strong defensive play and also bad luck as the red and black squad once again showed their wastefulness in finishing goal scoring chances in front of the goal. Both teams arrived into the match in a very positive mood as both Milan and Lazio picked up three points on their latest game, this good vibe carried the two teams’ confidence as they clearly set up their own game plan for the match. Playing at home, Rossoneri that are trying to get clear out of their chasers, set out to attack the away team despite having a mini crisis at the midfield area which forced them to play a make shift line up. 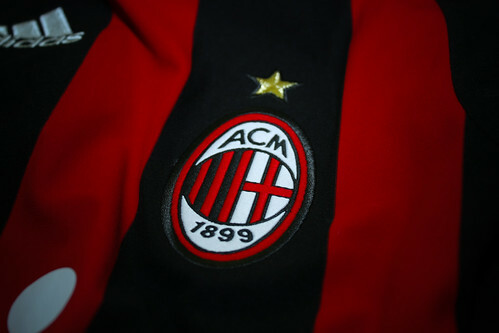 Milan notably picking up the tempo of the game as they were trying hard to get the goal and creating some good goal scoring chances especially through one of their winter signing, Urby Emanuelson who just blazed his shot wide inside the Lazio’s box. The away team doesn’t look that interested in attacking the Rossoneri as they seemed content by playing the waiting game and try to caught the home team on the break with Hernanes’ passing. Unfortunately the first half ended in a stalemate as both teams especially Milan failed to find the back of the net despite having more attacking threat than their visitor forcing the Rossoneri players getting into their dressing room disappointed. Looking to redeem their failure in the first period, the red and black squad increase their pressure in the second half and should really scored few goals as Ibrahimovic and Robinho misses great goal scoring chances that either hit the post or being cleared out by defenders. Deep into the half the Rossoneri gets even more frustrated after knowing that they have another player adding their injury list as the new signing, Nicola Legrotaglie, got a bad cut in the head after being ran over by Kozak. The injuries kinda slowed down the tempo of the game and really disturbed Milan’s attacking flow which added with their frustration making things easy for Lazio, that were playing defensively sound on the day. Despite the five minutes extra time given by the referee because plenty of injuries that occurred on the match, the red and black squad just can’t seem to find the back of the goal and forced to settle with a point. This result isn’t likely gonna change anything, however Milan are in danger of losing some ground at the top especially should the likes of Napoli and Inter managed to get positive results from their matches.